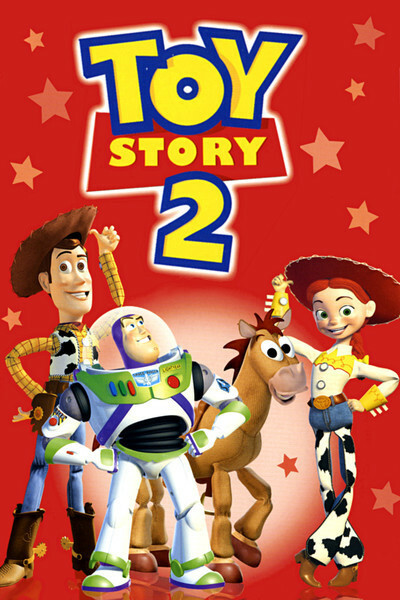 I forgot something about toys a long time ago, and "Toy Story 2'' reminded me. It involves the love, pity and guilt that a child feels for a favorite toy. A doll or an action figure (or a Pokemon) is yours in the same way a pet is. It depends on you. It misses you. It can't do anything by itself. It needs you and is troubled when you're not there. "Toy Story 2'' knows this, and for smaller viewers that knowledge may be the most important thing about the film--more important than the story or the skill of the animation. This is a movie about what you hope your toys do when you're not around--and what you fear. They have lives of their own, but you are the sun in the sky of their universe, and when you treat them badly, their feelings are wounded. The story begins with Andy, the little boy who owns the Toy Story toys, going off to camp. Woody, the cowboy, is in bad shape with a torn arm, and gets left behind. This is crushing to Woody, but worse is to come, when he gets scooped up at a garage sale by Big Al the toy collector, repaired, mended and repainted--and scheduled for sale to a toy museum in Japan. At first this adventure is kind of fun for Woody, who finds out for the first time that he is part of a set of toys, the Roundup Gang, that also includes a cowgirl named Jessie, a horse named Bullseye and a prospector named Stinky Pete. Woody is blown away to discover he even starred in a black-and-white TV puppet show in the '50s, and begins to think that since Andy might eventually abandon him, he might enjoy retiring as the star attraction in a toy museum. Meanwhile, Buzz Lightyear and the other toys discover what has happened and lead a dangerous crosstown mission to rescue Woody. And we begin to get insights into the private lives of toys. Stinky Pete, for example, is bitter because no kid ever bought him, and he's still in his original box. Jessie is spunky and liberated, but this cowgirl does get the blues; she sings the winsome "When She Loved Me'' about her former owner Emily, who tossed her under the bed and forgot her. "You never forget kids, but they forget you,'' Buzz sighs, but he argues for the position that it is better to be loved for the length of a childhood than admired forever behind glass in a museum. The movie once again features the enchanting three-dimensional feel of computer-generated animation by Pixar, and has been directed by John Lasseter, the creator of the original "Toy Story.'' The tale of this film is almost as thrilling as Woody's fate: It was originally intended as a lowly direct-to-video release, but then the early scenes played so well that Pixar retrenched and started over again with a theatrical feature. In other words, this isn't a made-for-video that they decided to put into theaters, but a version intended from the first to be theatrical. That's important, because it means more detail and complexity went into the animation. The stars of the voice track certainly seem to remember how they once identified with toys. Many of the actors from the first movie are back again, including Tom Hanks as Woody, Tim Allen as Buzz, Don Rickles as Mr. Potato Head and Jim Varney as Slinky Dog. The key newcomer is Joan Cusack as Jessie the Cowgirl, and she brings new life to the cast by confronting the others for the first time with a female character who's a little less domestic than Mrs. Potato Head. Hanks is responsible for what's probably the movie's high point; he sings "You've Got a Friend in Me,'' and seems to speak for all toys everywhere. His Woody has, indeed, grown into quite a philosopher. His thoughts about life, love and belonging to someone are kind of profound. The screenplay by Andrew Stanton, Rita Hsiao, Doug Chamberlin and Chris Webb isn't just a series of adventures (although there are plenty of those) but a kind of inside job, in which we discover that all toys think the way every kid knows his toys think.